Deadline for application is 6st of April 2018. 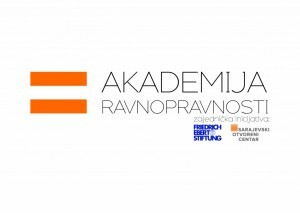 After successful realization of the Equality Academy in 2015, 2016. and 2017, Friedrich Ebert Foundation and Sarajevo Open Centre are proud to announce a public call for participation on the fourth generation of the Equality Academy – platform for political leadership and space for joint actions of representatives, councilors, leaders of political parties and civil society organizations. The Equality Academy is consisted of four modules. 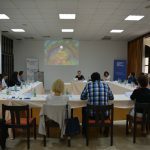 Each module is consisted of lectures, workshops, discussions and meetings with representatives of civil society organizations. Lecturers have experience in political practice, but they are also members of international organizations and NGO organizations from B&H and region as well as media. 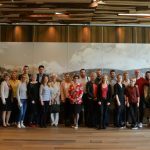 Organizers of the Equality academy will pay for accommodation, food, refreshment and costs of participation on the Academy. Travel expenses should be paid by participants themselves. If you belong to the one of the groups named above and you want to participate on the Equality Academy, then please send your application on bouth e-mail adresses: merima.ejubovic@fes.ba and maida@soc.ba no later than 6th of April 2018. If there is a bigger number of applications the organizers will make an election of participants considering gender, party and regional representation. Selected participants will be informed about it until 17th of April.